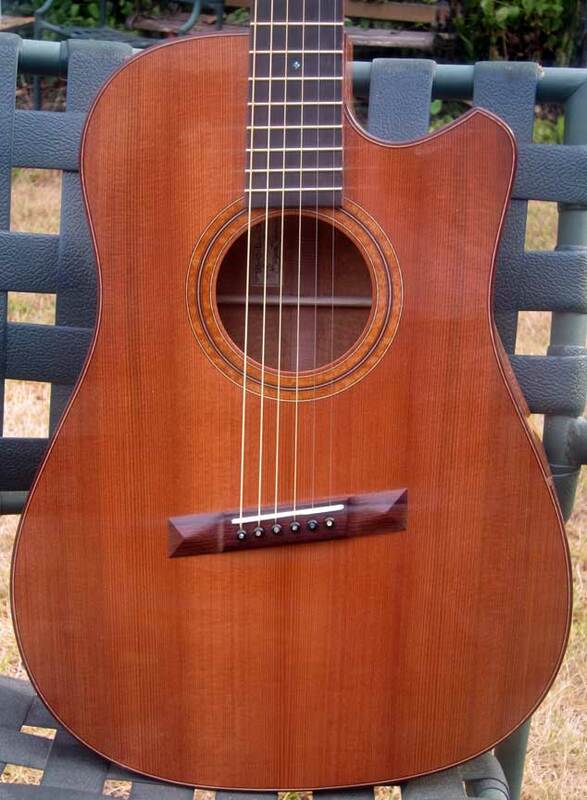 JB-15-D asymmetrical MuliScale handmade acoustic guitar in Honduras Mahogany and Sinker Redwood by Bruce Sexauer in 2012. My second shot at a fully asymmetrical treatment of my "Mini-Dread" design. 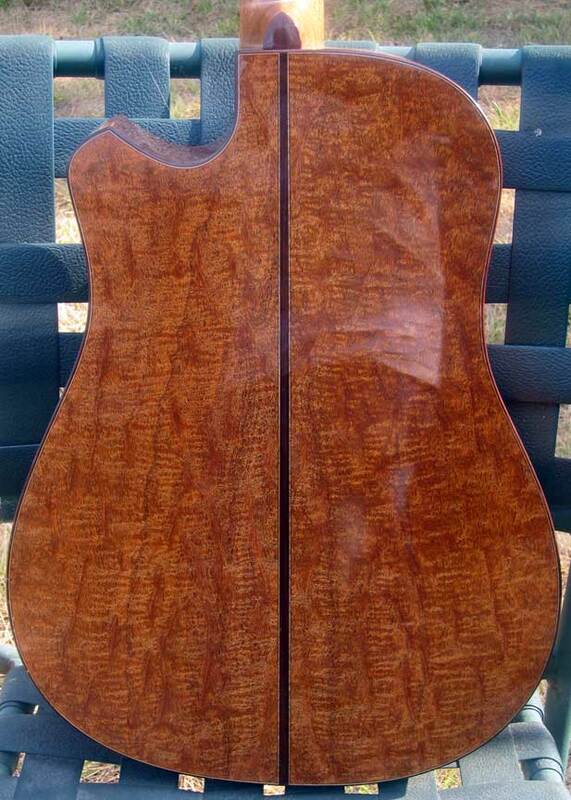 This guitar uses the most intereesting Honduras Mahogany I've ever encountered, and I include the fabled "Tree" in my experience as I do have some of that in stock, too. This stuff is both quilted and flamed, as well as having a quality I have heard called "whitebait" when it occurs in Kauri. The top is Sinker Redwood. 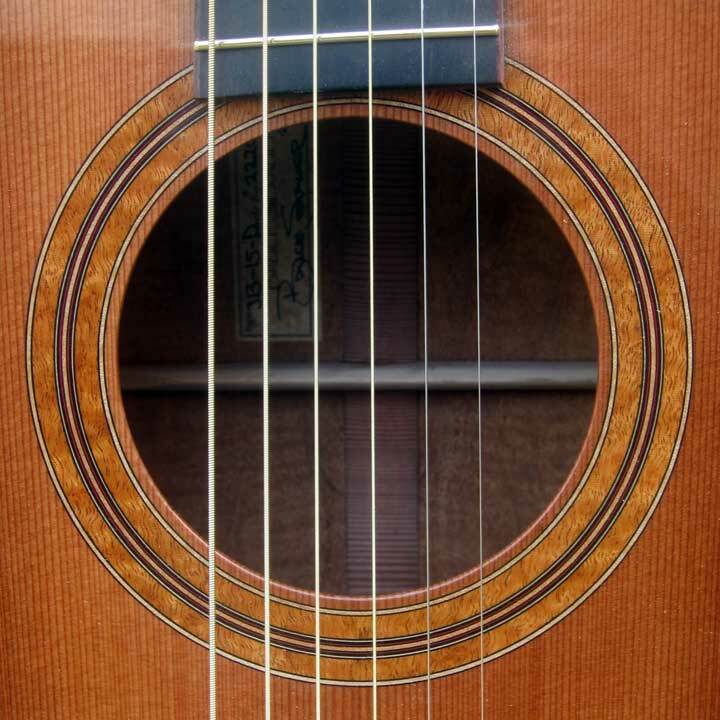 The trim and bridge are Amazon Rosewood. 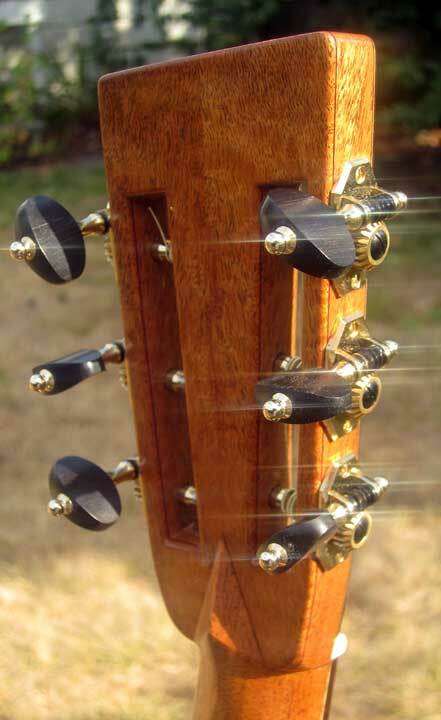 The Tuners are by Keith Robson, and the case is a Hoffee Carbon Fiber.